January 6 is Armed Forces Day (Army Day) in Iraq. This holiday is observed annually since 1921 after the activation of the Iraq Army and today it is a national holiday and a day off. Iraqi Army has got a long history. It was formed in early 1920s but was disbanded in 2003 after the Iraq War and toppling the Saddam Hussein regime. New Armed Forces were build with assistance from the U.S. Since 2009 Iraqi Armed Forces and Iraq Ministry of Interior are responsible for providing security and upholding law and order in Iraq. 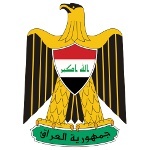 Iraqi Armed Forces serve under the Ministry of Interior and the Ministry of Defense. Armed Forces consist of three subdivision: the Iraqi Army, the Iraqi Air Force and the Iraqi Navy. The Iraqi Army is considered as the most important element of counter-insurgence fight. The Iraqi Air Force supports ground forces with light aircrafts and helicopters used to move troops, supplies and equipment. Iraqi Navy protects the shoreline and inland waterways. The Iraqi Navy is also in charge of the security of offshore oil platforms.